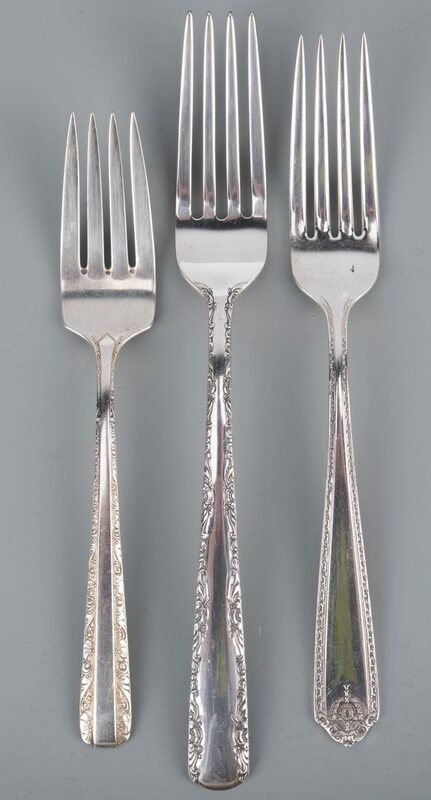 Three partial sets similar patterns sterling silver flatware. 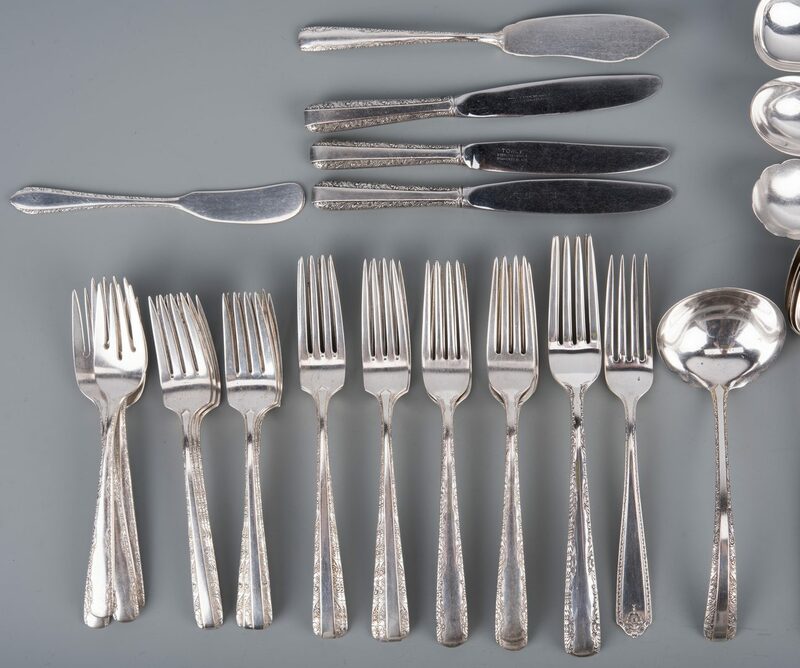 1st group: Gorham Manufacturing Co. Camellia pattern, 20 pieces, including 3 dinner forks (7 7/8" L), 5 forks (7 1/4" L), 4 salad forks, 6 teaspoons, 1 sugar shell and 1 master butter. 25.6 oz. troy together. 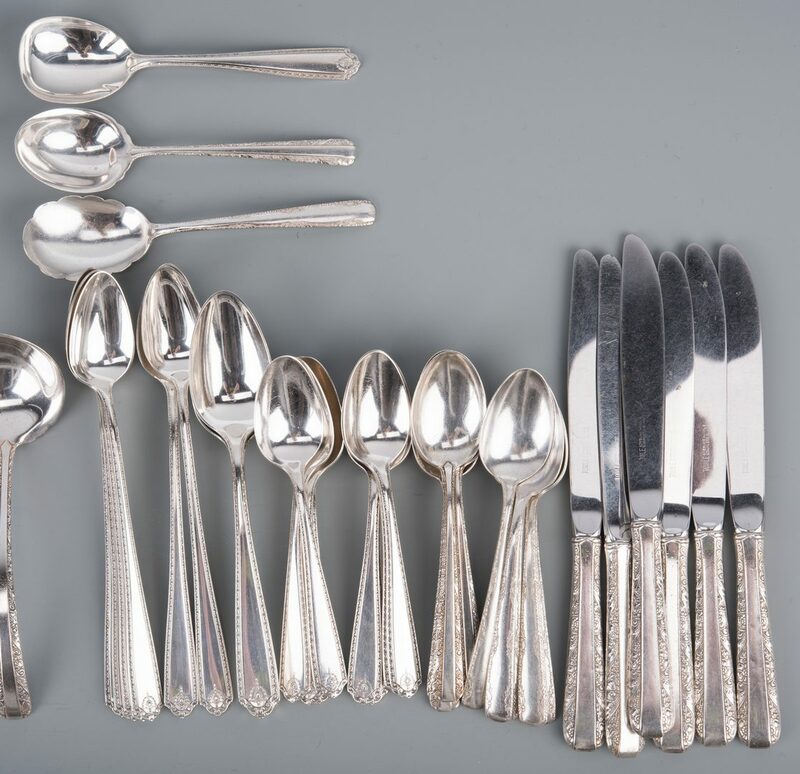 2nd group: Westmorland Silver Co. Lady Hilton pattern, 19 pieces, including 1 fork (7 1/8" L), 8 teaspoons, 6 iced teaspoons (7 3/4" L), 3 place spoons and 1 sugar spoon, 21.52 oz. troy together. 3rd group: Towle Manufacturing Co. Candlelight pattern, 28 pieces plus one other, including 6 knives (8 1/2" L), 5 forks (7 1/4" L), 6 salad forks, 1 youth fork, 5 teaspoons, 3 butter spreaders, 1 gravy ladle and 1 sugar spoon plus 1 flat butter spreader of similar but different pattern, unidentified. 23.14 weighable oz troy. 70.26 weighable oz troy for three groups. CONDITION: Overall good condition with surface scratches due to age.